2012 was a year full of ups and downs, trial and error, laughter, love and most of all, your support. Thank you all for always keeping me in mind when you needed a special, personalized gift or simple greeting. It is much appreciated and I hope to provide you with much more of the same in the coming year. I have lots of ideas swirling around in my noggin and can't wait to get them out to you in the coming months. That is just one of my resolutions this year. Another is to post more ideas, freebies and tips for you. It has been a slow start for me, but I hope to pick up the pace this year. So, for my first post this year, I'll revisit one of my 2012 resolutions: organize my recipes! 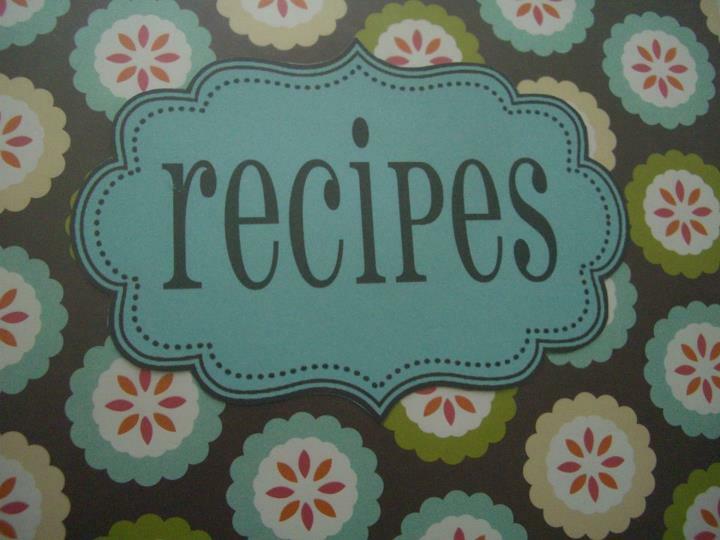 Not sure about you, but my recipe collection was one thing that drove me nuts for years. I finally got my rear in gear and did something about it over a spring weekend. 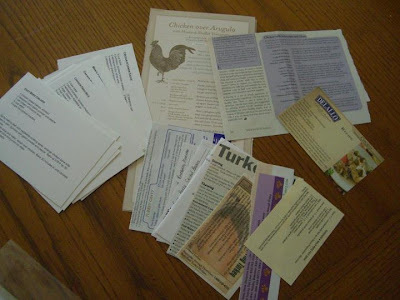 I have a variety of recipes: those clipped from magazines, those given to me by friends and family, ones I have printed from an online source and ones I have written on my own recipe cards. I had them all folded down to the standard 4x6 card size and shoved into a recipe box. I had them all organized and tabbed in their categories, but not only did I rarely access them, some were just plain hard to find when I actually wanted to make them. Not to mention, the box was pretty big and took up a lot of cupboard or counter space. Grrr. It was system that just did not work for me. Inspired by Jen at i heart organizing I gathered items I already had: a three-ring binder with a view top cover, lots of 8 1/2" x 11" page protectors and a bunch of 4" x 6" photo page protectors. Now for the cover. I went through my abundant supply of scrapbook paper and found this adorable 12" x 12" patterned paper and cut it down to 10 5/8" x 11 3/8". 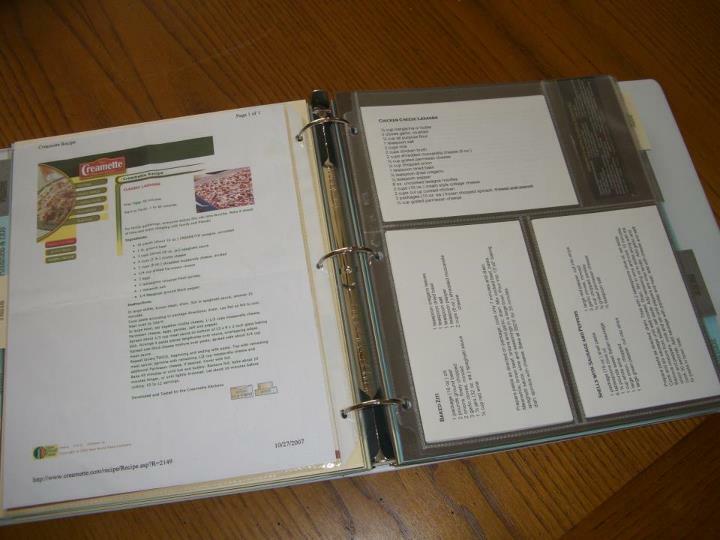 I then loaded my recipes in the binder and put Post It Notes on the front page of each section. This made creating the tabs a lot easier. But then, that was my next challenge- the page protectors are larger than a regular sized piece of paper. And while I had a large amount of regular-sized tabbed dividers in my stash, they would not extend past the page protectors, making it hard to see my various recipe sections. Determined not to spend any additional money, I decided to make my own dividers. I located some coordinating 12" x 12" cardstock. 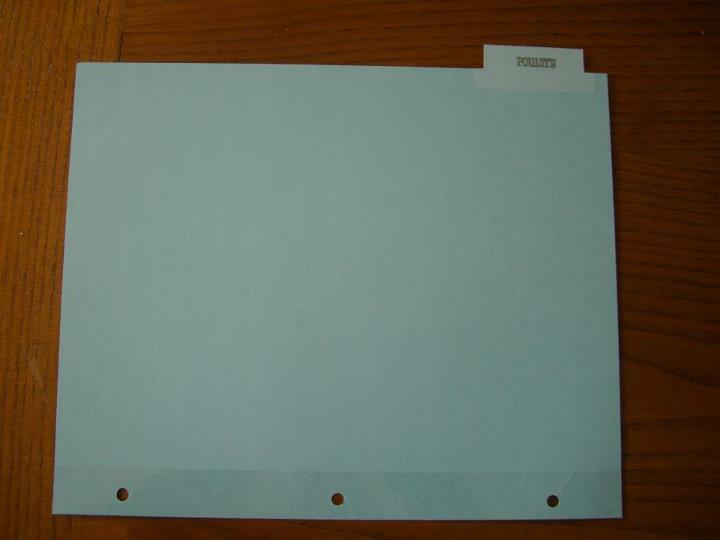 I aligned a sheet protector on the top long side (where the holes would go) of one of the pieces of cardstock so I would know where to cut my tabs (on the opposite side). I measured out approximate spacing for 5 tabs (I have 15 recipe categories), and cut tabs so they extended out. I then took packaging tape and ran it down the "hole" side, placing the cardstock on half the length of tape so I could fold the tape over to the other side. This would reinforce the holes when I punched them and will hopefully keep the tabs from ripping out. 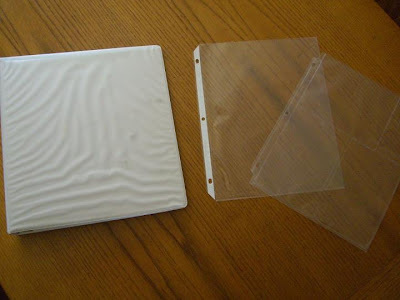 I lined this taped edge up with one of my page protectors to get the placement for the holes and punched the binder ring holes. 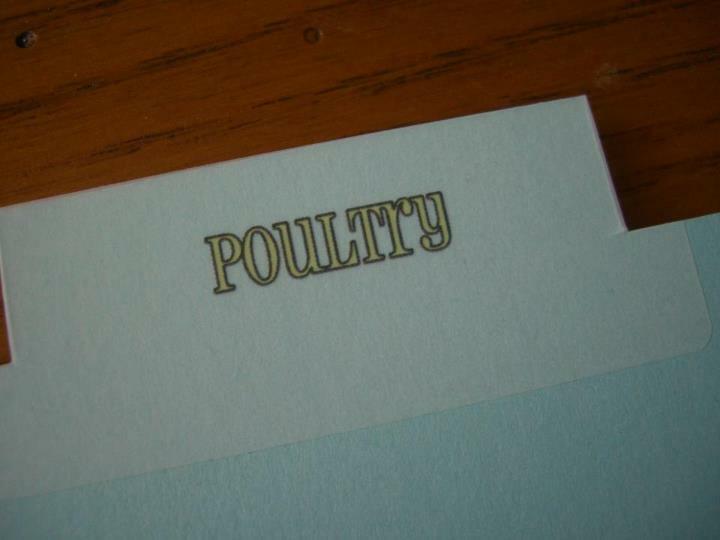 For the tabs themselves, I took a sheet of clear address labels and made two labels for each recipe category, using "Pharmacy" for the font. 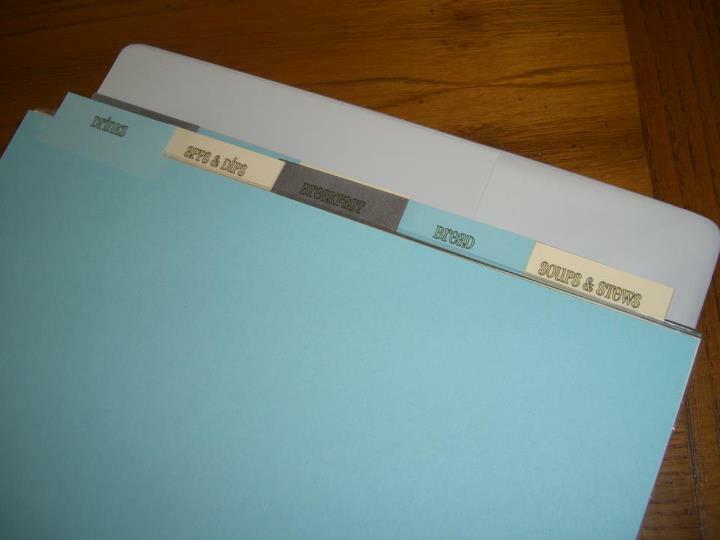 I placed a label on the front and back of each tab and cut away the parts of the label that overflowed the tab. Into the binder they went. I loved the font so much that I decided to fancy-up the binder cover. With a simple frame and the same font, I made a quick title, printed it on one of the coordinating cardstocks I was using, cut along the outside of the frame, and adhered it to the pretty cover paper. Voila! 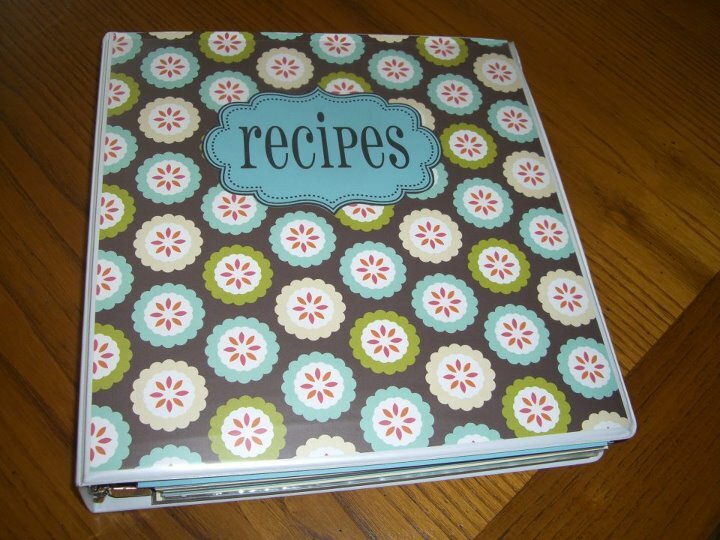 I now have a recipe binder that I didn't spend any money on and it has made my cooking life so much easier! Yay! 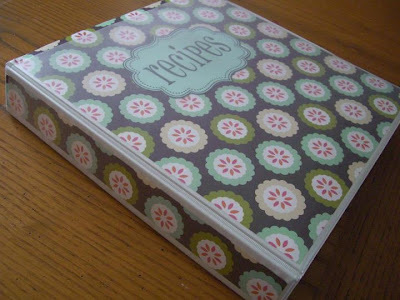 I am not a huge fan of cooking, but having an organized recipe collection has certainly spurred me to want to cook and bake more often. Did you have a resolution last year that you were able to accomplish? How about this year? Did you make any for 2013? Best wishes to you and yours for a fantastic year ahead. Let's get busy! Feel free to use any of my images as long as they are credited and accompanied by a link back to this blog. The photos should remain in their original state and are rights protected. Failure to link back and credit my site as a source constitutes a copyright violation. 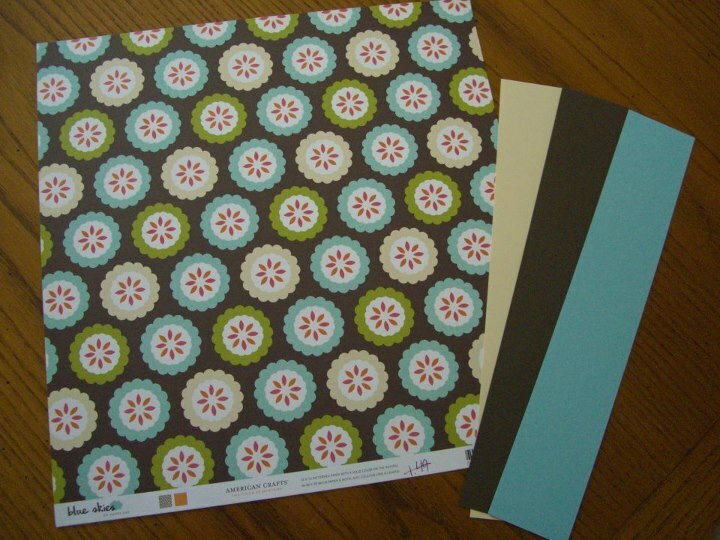 Free printables are for personal use only. Please contact me directly for commercial use, or to have me custom design a version just for you. 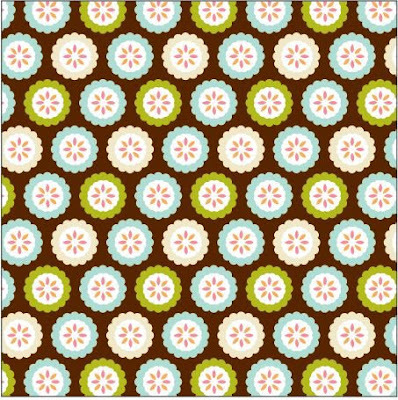 ©2012-2013 mollie MY DESIGN. Ethereal theme. Powered by Blogger.